Bentley being a charming goof! 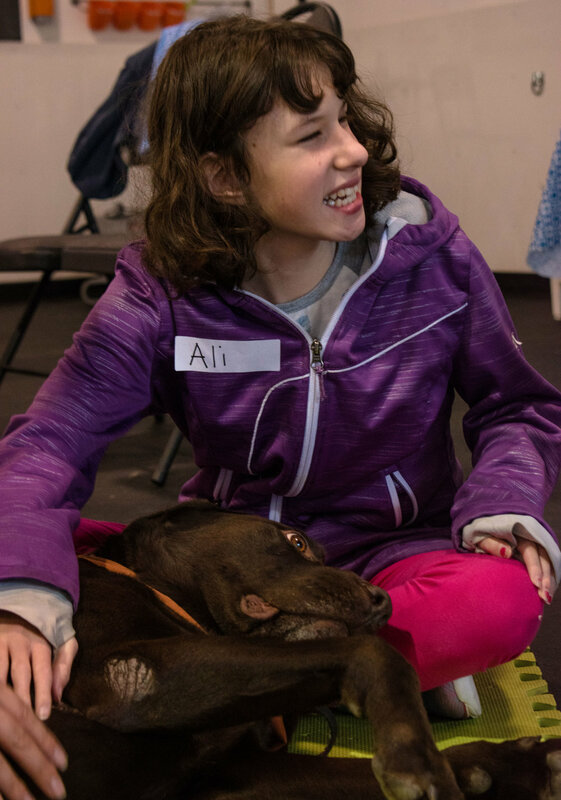 Trainers from clevercanines will pair up your child with their pre-screened and assigned “dog for the day” and volunteer companion. This partnership will allow a friendship to grow throughout the day and a bond to be formed. From there your child will be taught safety, greetings, tricks, massage, and have a chance to showcase the dog’s knowledge through a fun game.